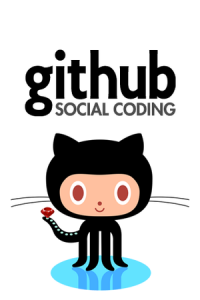 github is clearly aimed at repositories run by one person or a small set of persons, while in the projects I run I try to involve as many as possible in wide collaboration and I put efforts into informing everyone to get the widest possible attention and feedback. I may have created the account and “own” the repository, but I want the work to be done by a large team and I want everything that happens to it to be seen by a large audience. This is not always possible to do easily with the existing github services. pull requests can’t be disabled nor can i control to which email address to send the notification. In our project I want all patches posted to the mailing list for review, archiving and discussions before I get a pull request, and I don’t use github’s merge feature since it is hardly ever good enough (I want fast-forward and IÂ usuallyÂ feel a need to edit the commit message ever so slightly etc). I want the pull request to get translated into a patch review submission to the mailing list. similarly, I cannot redirect where notifications are sent when someone comments a commit or a source line and this is highly annoying since we merge a lot of outsiders’ patches etc and as they may still read the mailing list we want the discussion there! Many times the contributors don’t have github accounts and of course we don’t want to require that. I wish it had much better email notification on commits that would allow me to customize what it sends out without forcing me to write a full blown replacement. I want a unified diff included! I realize github has features that offer me to create an “organization” to host a repository instead of it being owned by me as a person, but I don’t think that should be a requirement to get this functionality. And I don’t know if github truly offers better groupÂ functionalityÂ then either.